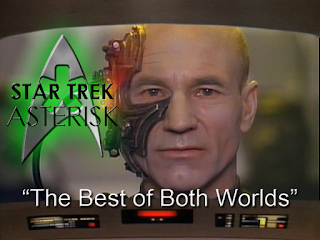 Star Trek: "The Best of Both Worlds"
As the Borg advance into Federation space, Riker faces decisions about his future while Picard becomes the first assimilated human. 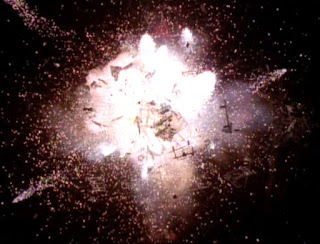 Investigating a distress call from a distant Federation colony, the Enterprise discovers that it's completely destroyed with only a crater left behind. They suspect the Borg, so they bring in the Federation's foremost expert on the Borg, the ambitious Lt. Comm. Shelby. You see, as Picard will find out through Admiral Hanson, she's gunning for Riker's job because the rumor is that Riker is on his way out to captain his own ship. When Shelby takes it upon herself to start investigation, Riker is annoyed by her initiative. But she gets the job done, and confirms that the attack was, in fact, of Borg origin. So now they have to prepare for a full-on Borg assault. While Admiral Hanson goes back to Starfleet Command to help them prepare, Shelby stays behind to help the Enterprise. 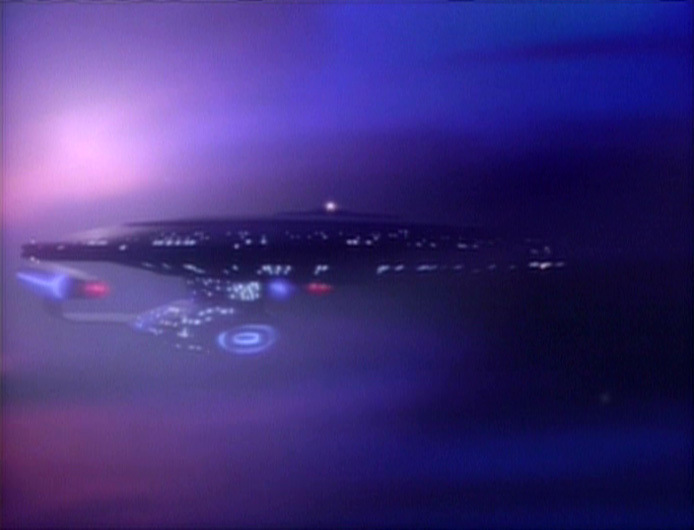 The Enterprise heads off toward a ship in distress, and the Borg cube that was following it suddenly turns around and goes straight for the Enterprise. When it reaches our crew, it hails Picard specifically. They want the captain. And in order to get him, they're willing to fight. But, knowing they can't take on the Borg, the Enterprise takes refuge inside a nebula that hides them from the Borg scans. And gives off a nice purplish hue. Picard uses this time to take a tour of the ship. It's a tradition, he explains to Guinan, that all ships captains do before a battle. Guinan reminds him that the tradition is before a hopeless battle. Picard gives her an example of a battle that was won, but the captain didn't make it. It doesn't take long for the Borg to smoke the Enterprise out of the nebula, and the chase is on. Along the way, the Borg infiltrate the Enterprise, start fights on the bridge, and grab Picard right from under everyone else's nose. With the captain kidnapped, the Borg fly off toward sector 001, the Terran system: Earth. After studying the Borg defenses for a while, Geordi came up with a brilliant plan to defeat them using the deflector dish. In fact, he shared this plan with the captain after Shelby's plan to separate the saucer section was shot down. 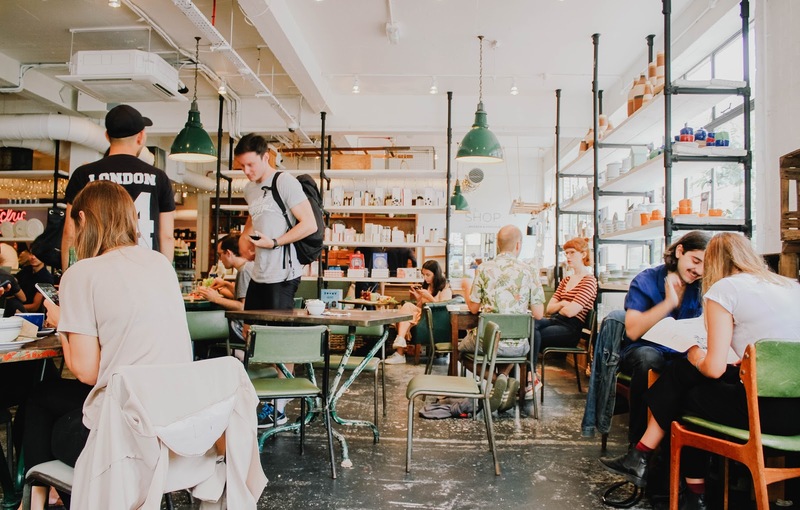 When they chase down the Borg, the deflector dish is almost ready, but they'll have to drop out of warp to use it, and the Borg are showing no sign of slowing down. Their best bet is to go over to the Borg ship and make a mess that they have to stop to clean up, and, maybe, in the process, save Picard. Riker puts himself on the away team, but Shelby protests. 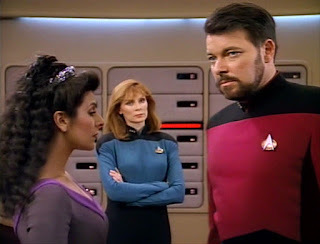 Well, Riker doesn't care about her opinion, but it turns out Troi protests, too... so Riker puts Shelby on the away team. 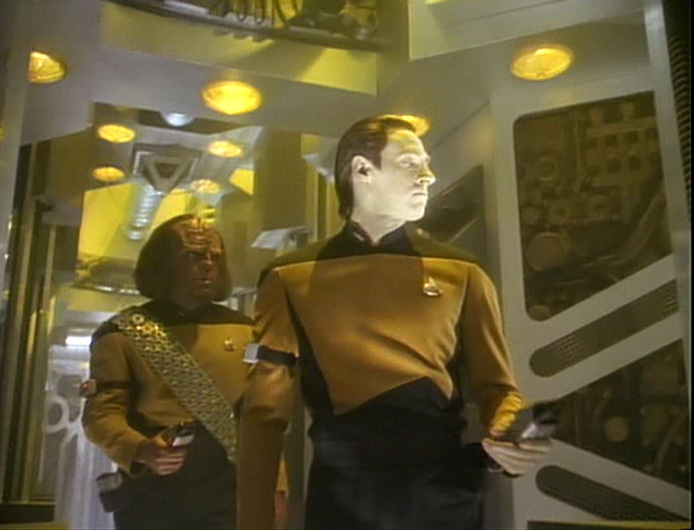 Shelby, Data, Worf, and Beverly all beam over to the Borg ship while at warp and take a look around. The Borg, as usual, don't pay any attention to them as long as they're not getting in the way. After a while, Worf finds Picard's comm badge signal. They follow it to a drawer where Picard's uniform is. Wherever Picard is, he's naked. 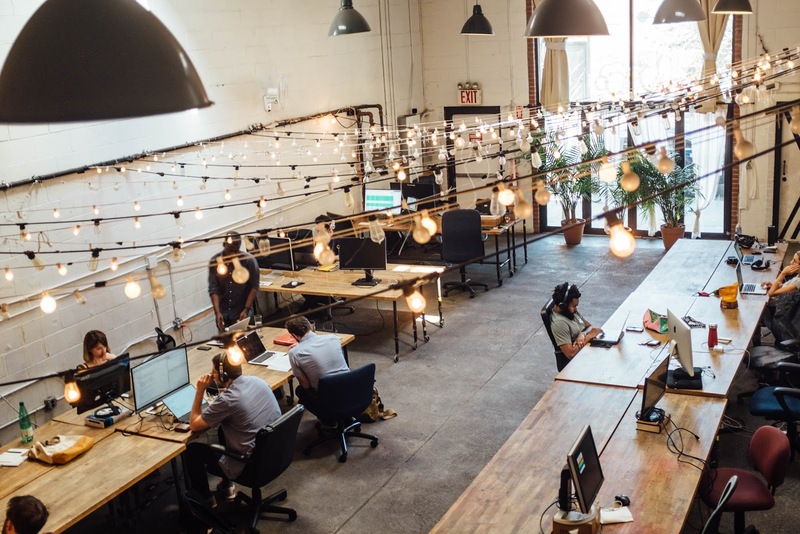 Their main objective is stop the cube, though, so Beverly comes up with a plan to shoot at their power distribution nodes. They do that, the Borg come after them, and in the flurry of activity, they spot Picard in the background. He has been assimilated. The team returns to the Enterprise. The Borg ship drops out of warp along with the Enterprise. The team reports on the condition of Picard. Geordi says the deflector dish is ready. The Borg hail the Enterprise. It's Picard in full Borgification mode. "I am Locutus...of Borg. Resistance...is futile. Your life, as it has been...is over. From this time forward...you will service...us." Riker, seeing that Picard is a casualty of war, addresses his weapons officer: "Mr. Worf... fire." The charge builds up, the tension mounts, Worf fires the deflector dish... and it doesn't work. The Borg ship is unphased. Locutus explains that everything that Picard knew, the Borg now know. He knew about the deflector dish plan, so they were able to protect against it. After chillingly referring to Riker as "Number One," Locutus and the Borg cube continue on their way to Earth while the Enterprise affects repairs to damage sustained from their "brilliant" jury-rigged deflector dish plan. Meanwhile, Riker reports to Admiral Hanson about what's going on, and Hanson gives Riker a field promotion to Captain. And while Riker considers a new first officer, Hanson sets up a barricade at Wolf 359. Racing against the clock, the crew tries to fix the ship, but Shelby can't seem to get the shields back up and running. Nevertheless, Riker stops by and praises her for her valiant efforts aboard the Borg cube. She takes that opportunity to put her name in for the vacant first officer position, ambitious young woman that she is. Riker kind of laughs it off at first, but then a message comes in from Hanson at Wolf 359. They have engaged he Borg. "The fight does not go well." Communications are cut off prematurely, and it's presumed that the reason is because the barricade has been defeated. 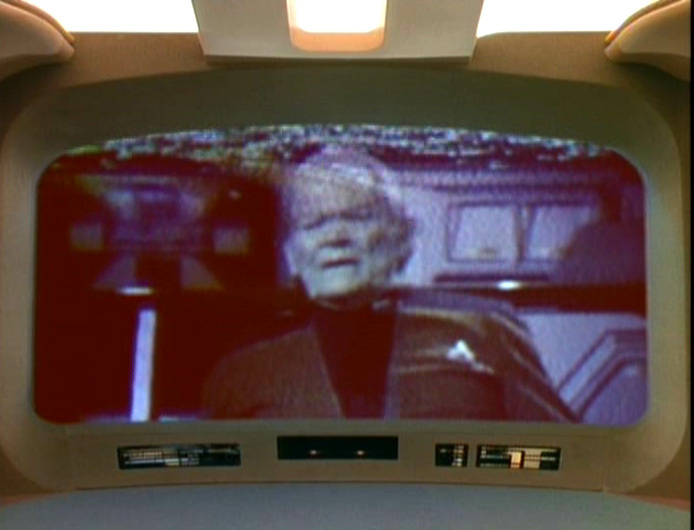 Riker holds a meeting with the senior officers. After choosing Shelby as first officer, he attempts to inspire them all by saying that he can take over for Picard, but he could never replace him. He expects everyone to do Picard proud. But when the meeting is over and he goes to the ready room to ask an empty chair what to do, Guinan finds him and tells him to get over Picard. He's gone. For all intents and purposes, he's dead. If he wrote the book on the Enterprise and the Borg know everything he knew, it's time to throw that book away. With a new sense of purpose, Riker rejoins the bridge as they come upon Wolf 359 which is now a graveyard of Federation ships. The cube is still there, recuperating. So Riker tells Shelby to use her saucer separation plan. She reminds him that Picard knew about that plan, but Riker says he's counting on it, and tells Worf and Data he has a special job for them. After the saucer separates, the cube attacks the drive section, completely ignoring the saucer section. But then the saucer section sends out bursts of antimatter to draw the cube's attention. While that happens, Worf and Data take a shuttle through the Borg shields and transport aboard the cube. Data looking more badass than usual. As they move through the cube, they find Locutus and capture him. They transport back to the shuttle, and then O'Brien transports them from the shuttle to the Enterprise before the cube can destroy the shuttle. They immediately bring Locutus to sick bay and Beverly attempts to revive him while the Borg cube resumes their course toward Earth. Locutus wakes up and tells the crew that their attempts are futile, as Borg are wont to do. He will continue to be the mouthpiece of the Borg on the Enterprise while the rest of the Borg head to Earth to assimilate everyone. But Data has another idea. After stunning Locutus, Data brings him to his lab and puts him inside the same cage-like structure where Lal was born and died. He then hooks up his own positronic brain to the borg implants on Locutus's person. With Beverly there to monitor Picard's biosigns, Troi to monitor Picard's mind, and O'Brien monitoring Data's systems, they're all set to hack into the Borg network. Moving through each subspace frequency, Data finally breaks in and attempts to process all the information on the Borg network. Meanwhile, the Borg have made it to the Terran system and are making a mess on their way to Earth. While Data hacks deeper into the Borg network, Locutus wakes up and freaks out. He knocks over a security dude, but Beverly is able to calm him down. Then, after a while, Picard pokes through the Locutus exterior. With his human hand, he reaches out and grabs Data's arm, and Troi knows it's the captain. The Borg ship is slowing down on sensors and, in fact, turning back around. They don't like what's going on with Locutus. And when Picard utters a single word, "sleep," Beverly thinks he's just really tired... But Data has another idea. 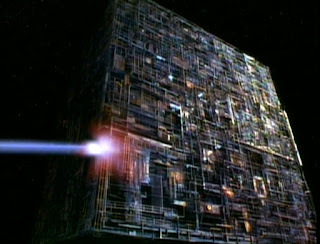 Borg cube has arrived and is facing a final showdown with the Enterprise. The Enterprise, however, is not able to keep up with the weapons volley. Riker tells Wesley to set the ship on a collision course and tells Geordi to prepare warp 3. But before he can give the command, and the very last second, Data comes through the comm badge and says "stand by." After a tense two seconds, all is quiet. 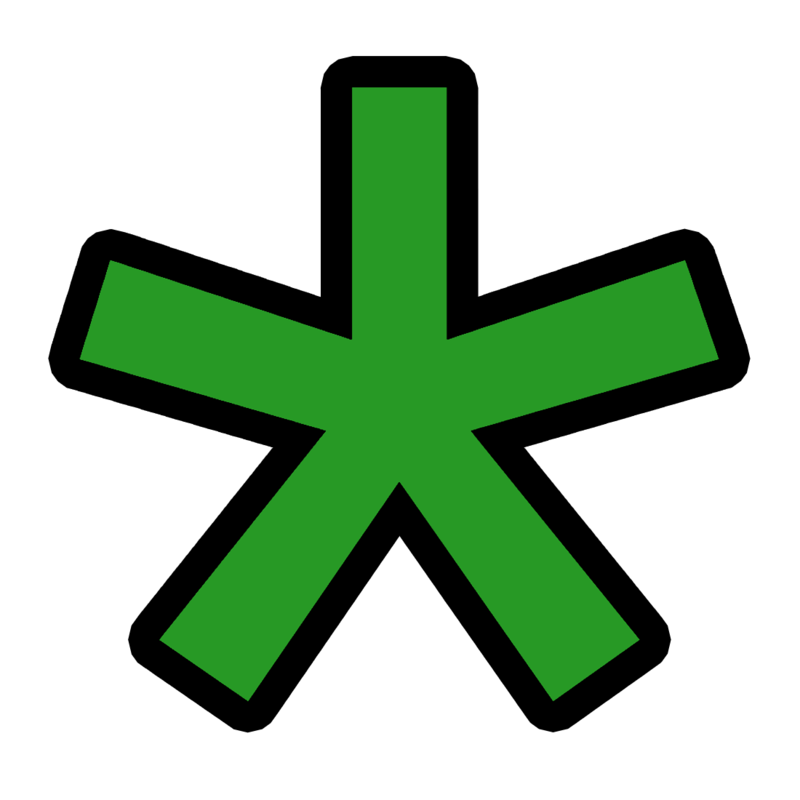 The Borg are no longer firing. 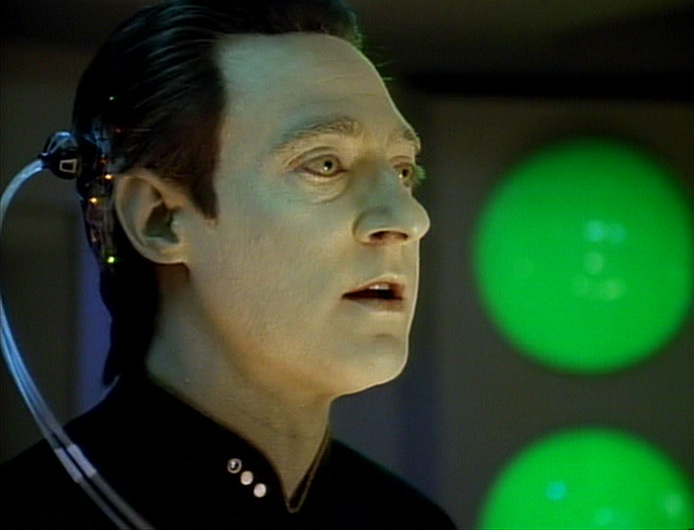 Data explains that he sent a command to the collective for them to return to their recharging stations. In effect, he told them all to "sleep." A quick confirmation reveals that not only are they asleep, but the malfunction that Data put into place is causing the cube to self-destruct. Riker commands Data to disconnect from Picard and warp out of there as the Borg cube explodes. This is without a doubt the best couple of episodes of Star Trek: The Next Generation. It would inform Picard's character for years to come, and it does so much not only for his, but for Riker's development. It also lifts the Borg up from just another species of bad alien to the bad guys of Star Trek. Everything in the rest of Star Trek has some sort of roots in this episode. 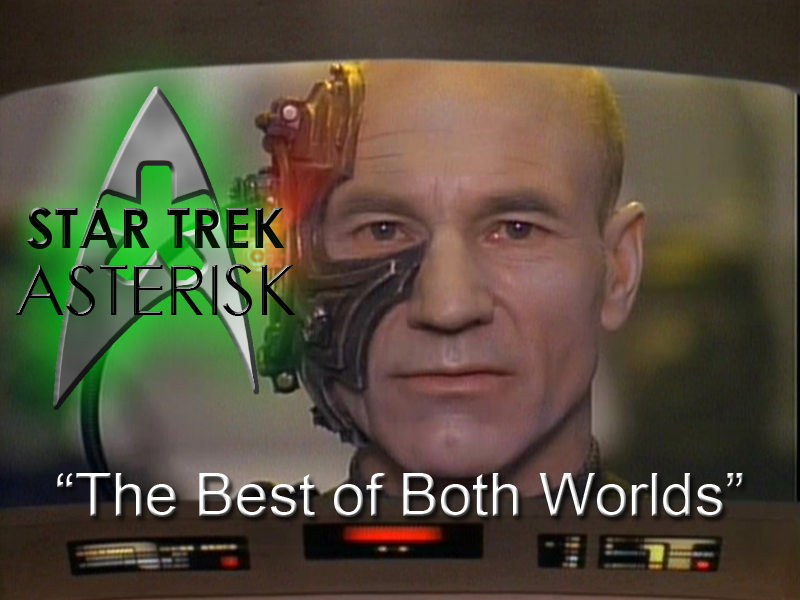 Sisko has roots in Wolf 359, Voyager would have several meaningful contacts with the Borg including taking on a former Borg crewmate, Star Trek: First Contact would deal with Picard's PTSD from this episode, and First Contact would heavily influence Star Trek: Enterprise. If you don't see any other episodes of Star Trek: The Next Generation, this one is imperative.